Chester Zoo is the UK’s leading zoo, with 1.9 million visitors in 2016 alone. It is the UK’s most visited paid for attraction outside of London and always proves a hit with visitors. By channelling funds back into its conversation charity, Act For Wildlife, Chester Zoo is proving hugely influential in fighting the challenges faced by wildlife across the globe. Visitors to the zoo love to learn all about this crucial work but they also want to have loads of fun! Visiting the Zoo is a great day out for people of all ages, and this summer, Chester Zoo wants them to truly enjoy themselves. Chester Zoo understands that the majority of visitors to the zoo wish to spend quality time with their friends and families, making wonderful memories that last a lifetime. During the summer of 2017, they wanted to reignite that sense of having a fun, enjoyable day out, with less of an emphasis on learning about animal conservation (although this remains important). 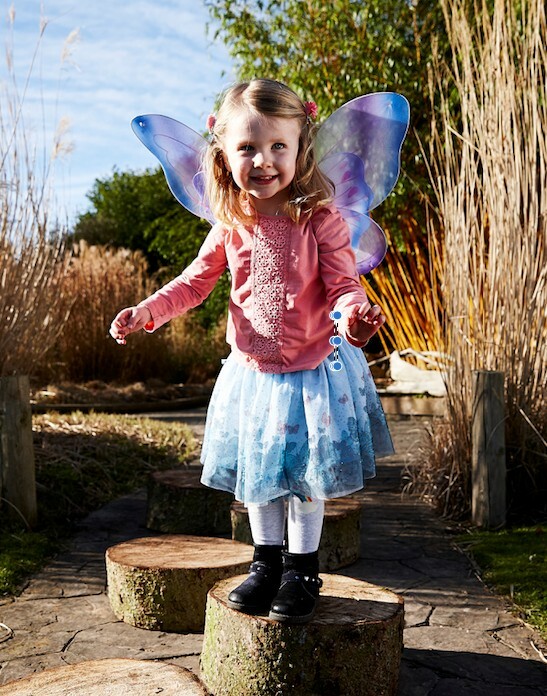 Having worked with a group of ‘play consultants’, Chester Zoo was keen to not only develop play zones around the zoo but to also promote the idea of parents or guardians being playmates. So often adults are stuck as authoritarian figures. This campaign aims to reconnect adults with their inner child, and get them down on a kids’ level (literally in places!). A brand new Madagascan play zone has been built and some staff members have recieved training on how to be Play! Ambassadors, encouraging activity throughout the zoo. These initiatives were supported by additional events throughout the summer. Amongst the major play areas, Chester Zoo is introducing the idea of ‘play on the way’. To liven up the journey between animal habitats, the Zoo has installed balancing beams and footstep trails. Our campaign needed to encourage visitors to see these as opportunities for imaginative play across the whole family. Any creative concept that we presented needed to be fun and surprising whilst retaining the unique Chester Zoo brand identity. Whilst their crucial conservation work was not to be highlighted specifically, we needed to remain aware of its implication e.g. animals should not be presented in manner outside of their usual behaviour. At the centre of the Madagascan play zone is the Baob Tree. Still under construction whilst Ultimate was creating and building the creative campaign, we had to convey the sense of fun ultimately provided. Visitors to Chester Zoo come from a wide range of backgrounds, with different hopes for the day. Some families want to learn a lot, but others just want to have fun. Our campaign had to appeal equally to all. The goal of the Play! Campaign might sound simple but humour can be a notoriously tricky beast. It was crucial that our creative work connected with the inner child inside us all, and conveyed the idea that it is okay to just be silly sometimes. Our creative campaign primarily focuses on the imaginative aspect of play. We wanted to encourage children and parents alike to embrace the idea of fun, not just at Chester Zoo but in their everyday lives. Why should the fun stop when you get home? The integrated nature of this campaign meant that it was crucial that we ensured that a strong creative concept was maintained across all the assets. To do this, we created several illustrated animal characters who then interacted with photographed humans. The contrast of the two imagery styles made it clear that the animals were being imagined by the depicted families. This combination of illustration and photography can be found in the TV advert, in the digital banner adverts and on the website itself. Our style remained firmly within the wider Chester Zoo brand identity, utilising their fonts and illustrative style. We even included one of the birds from our Chester Zoo ‘Singing for Songbirds’ campaign! Our TV advert was produced in close collaboration with the brilliant team at Lion Eyes TV. It is fast-paced, lively and truly captures that great feeling of letting go and having fun, no matter your age. To encourage play outside of the zoo, we have filled the microsite with loads of fun jokes, challenges and craft ideas, which we continued to update on a regular basis. We have also designed and built a couple of games, including a highly addictive side-scrolling game entitled ‘Leaping Lemur’. For those looking to play on the go, we have compiled the perfect animal themed playlist for any car journey, certain to get the whole family singing along. With this Play! campaign, our relationship with Chester Zoo has gone from strength to strength. We’ve loved working on such a playful campaign, and it has even had us crafting in the office! We are certainly looking forward to seeing the new Madagascan play zone once complete. Why not check out the microsite and give the advert a watch?